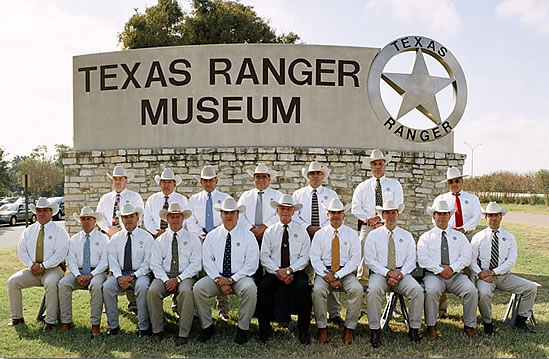 One of the persistent myths of Texas Ranger history is that, until recently, all Rangers were Anglo-Europeans. Surviving enlistment records prove that Texans of Hispanic and American Indian descent served from the Mexican era well into Statehood. The following is a sample of names from very early enlistment records compiled by museum intern Rebekkah Lohr during research for her graduate thesis. She received guidance from Christina Stopka, head of the Texas Ranger Research Center, and used records at the Hall of Fame and Museum and the Texas State Library and Archives. Tables of Tejano and Indian names from the Republic era appear below; a few comments are in order about why the spellings and names may seem unusual. Early Texas was a land of many languages but few schools. Many famous leaders of early Texas — like Stephen F. Austin, Juan Seguin and Sam Houston — were formally educated in the letters and the law. 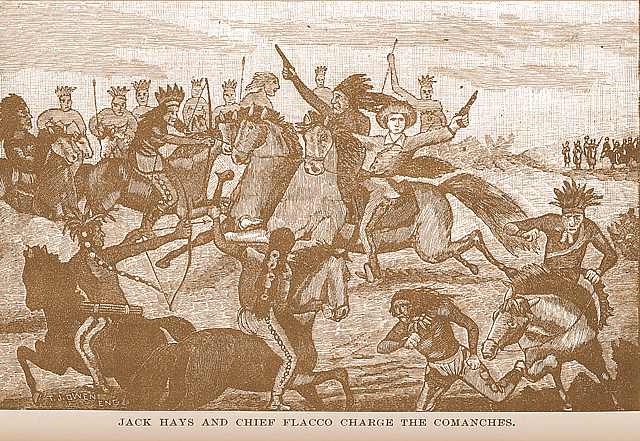 They led Tejano, Anglo and Indian frontiersmen who were far from ignorant and could converse in several languages. However, lack of schooling meant that many early Texans were illiterate or could barely read and write. Enlistment rolls for the Texas Rangers were usually kept by Southerners of Anglo-European descent or recent German and English immigrants. Most were not fluent in Spanish or the Indian languages. They frequently resorted to transliteration and translation to fulfill their duties as record-keepers. Most Tejano Texas Rangers (Texas-born of Spanish/ Mexican ancestry), like their Anglo brothers-in-arms, were either barely literate or illiterate. Only a handful of “ricos” (Tejanos of money and position) had the wealth to send their children to the private and Catholic schools in Mexico City, St. Louis and Philadelphia. “Gopher”, “Buzzard” and “Panther” were probably accurate. We were privileged to have Ms. Lohr as an employee of the Texas Ranger Hall of Fame for two years while she completed her education at Baylor University. Chipeta Bell, P. Feb. 28, 1845 for 3 mos. Garcia, Marismore Wilson, W. F. Sept. 8, 1839 for 3 mos. Riviere, Rudicindo Bell, P. Feb. 28, 1845 for 3 mos. Villareal, Pomicina Bell, P. Feb. 28, 1845 for 3 mos.